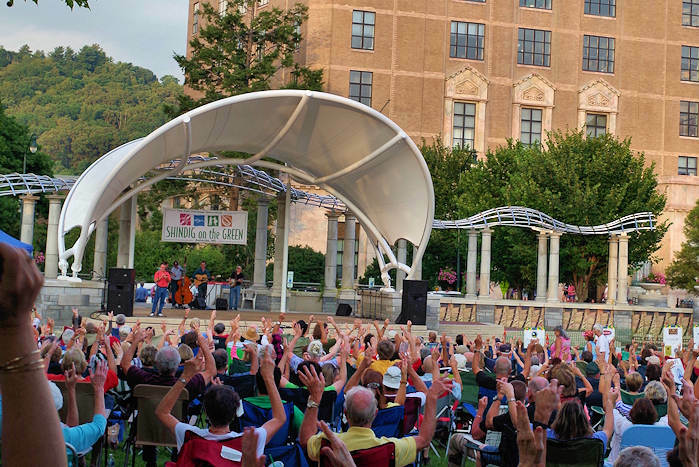 Watch and listen to some of the finest Appalachian ballad singers, string bands and square dance teams at the nation’s longest running folk festival. 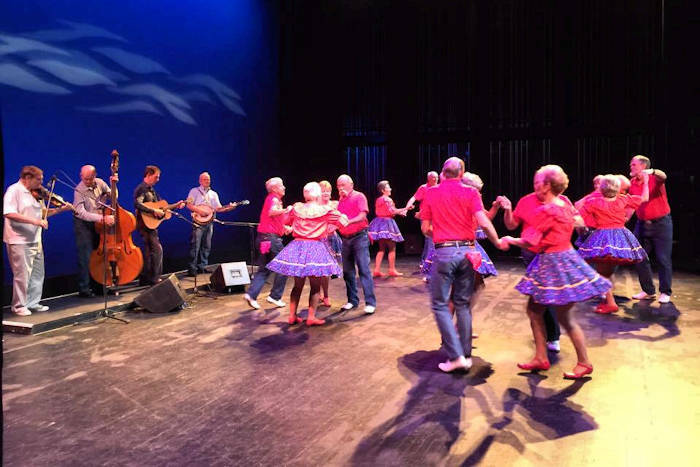 Beginning back to 1928, the Mountain Dance and Folk Festival presents threee nights of authentic bluegrass music and dance with a different line-up each night. 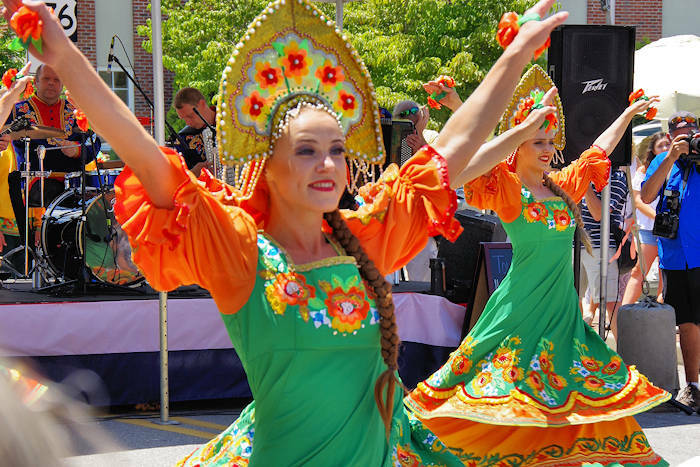 The indoor performances are held at Lipinsky Hall on the University of NC-Asheville campus (GPS address: 300 Library Lane) at 6:30-9:30 PM each evening. Bascom Lamar Lunsford founded the Mountain Dance and Folk Festival as a means for people to share and understand the beauty and dignity of the Southern Appalachian bluegrass music and dance traditions that have been handed down through generations in western North Carolina. The songs and dances shared at this event echo centuries of Scottish, English, Irish, Cherokee and African heritage found in our mountains. Tickets on sale in advance on their Web site or at the door starting at 5:30 PM if seats remain. Advance: Adult $20; Children 6-12 $5; 3-night package $50. At the door, $25/adult and $5/child. This is a fundraiser for Shindig on the Green, a free outdoor music festival on Saturday nights during the summer in downtown Asheville. Make it a Heritage Weekend! This is the novelist's boyhood home and setting for "Look Homeward, Angel." Tour the fascinating, rambling house located in downtown Asheville. 52 N. Market Street. Explore a big variety of very interesting museums and historic places in Asheville and the surrounding mountain small towns, filled with the fascinating history and culture of the Appalachian Mountains. Many are free to visit. See crafts by artists from Southern Appalachia with three fine art galleries and daily craft demonstrators. Shop in their store. No admission fee. Located on the Blue Ridge Parkway near U.S. 70 intersection. Fantastic fair in Biltmore Village with 100 hand-selected artists from 16 states, representing the full spectrum of craft media - jewelry, ceramic, wood, fiber, metals, two-dimensional art and more.